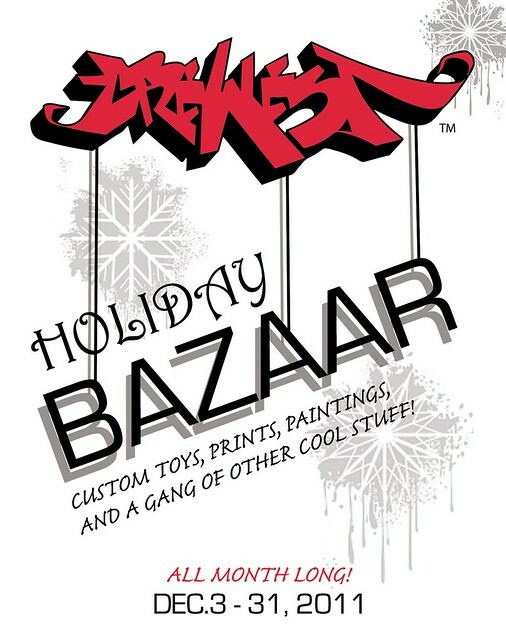 Join us this Saturday from 6-10 pm for the opening of "Crewest's Holiday Bazaar" featuring vinyl toys, paintings and prints. 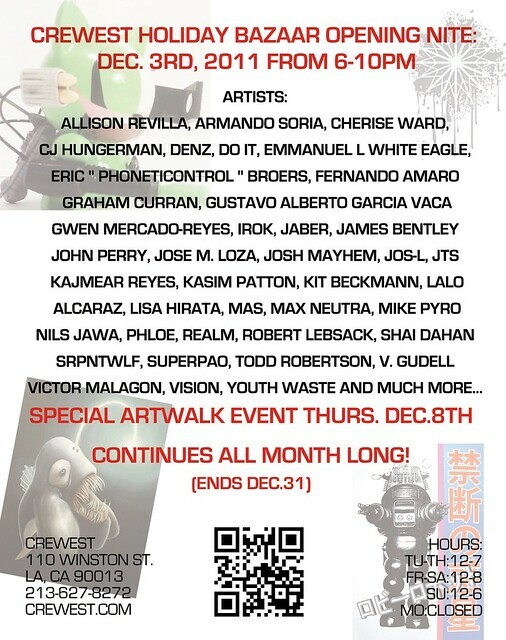 Show opens Dec. 3 and closes Dec. 31st. In addition, all month long we will be bringing out new artwork from our back stock which will also be for sale!